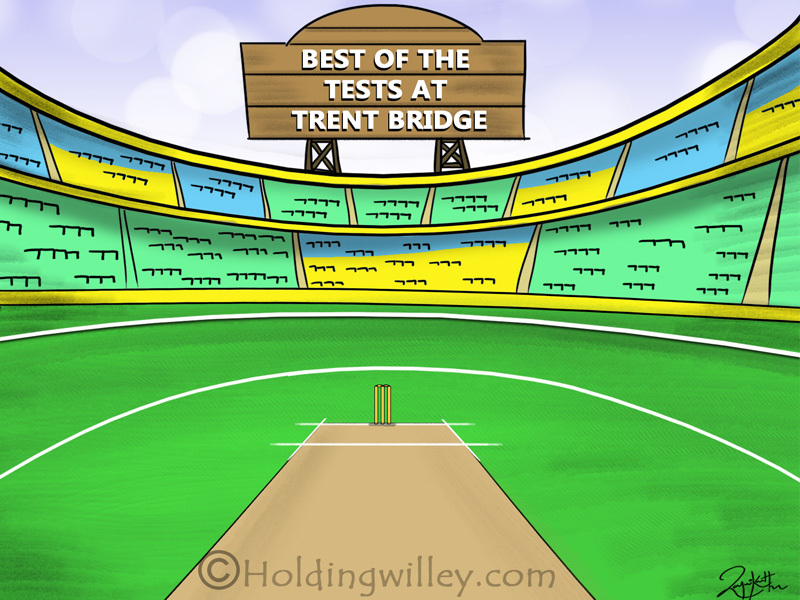 Trent Bridge in Nottingham, the venue for the upcoming third Test of the Pataudi Trophy, has seen 62 Tests since its arrival on the international scene in 1899. England have won 22 and lost 17 of their 61 Tests played here (the ground also hosted a Test between Australia and South Africa in 1912), while India have won once (in 2007) and lost twice from six appearances. Here is a look back at five of the most memorable Tests played at England’s fourth oldest Test venue. Seamers Bruce Taylor (4/53) and Dayle Hadlee (4/42) combined to reduce England to 191/9 on the first day after the opening pair of Geoff Boycott (51) and Dennis Amiss had put on 92. To New Zealand’s frustration, Alan Knott (49) and Norman Gifford dragged the total to 250 with a 59-run tenth-wicket stand. It soon got worse for the visitors, as they were shot out for 97, with none of the batsmen reaching 20. Tony Greig and John Snow took 4/33 and 3/21 respectively. A fifth-wicket stand of 210 between Amiss (138*) and Greig (139) then took England to 325/8 from a perilous 24/4. Chasing 479, New Zealand were 130/4 when captain Bevan Congdon (176) and Vic Pollard (116) joined forces to add 177 for the fifth wicket. Congdon further added 95 for the sixth wicket with Ken Wadsworth, and at 402/5, New Zealand were threatening the unthinkable. However, the last five wickets fell for 38, giving a relieved England a 38-run win. Captain Ian Botham (57) top-scored after electing to bat, but Andy Roberts’ 5/72 ensured that the total was limited to 263. In reply, half-centuries from Gordon Greenidge (53), Vivian Richards (64) and wicketkeeper Deryck Murray (64) gave the West Indies a lead of 45. In the second innings, Boycott (75) and Bob Woolmer guided England to 174/2 with a third-wicket stand of 106, but the West Indian pacers induced a game-changing collapse to reduce the score to 183/6. England reached 252, helped by 52 extras. At the end of the fourth day, the West Indies, boosted by Richards’ quick 48, were 109/2, needing only 99 more to win. But Bob Willis (5/65) kept England in the hunt, even as opener Desmond Haynes held the fort. The score fell to 129/5 and then to 180/7, when Roberts joined Haynes. The duo whittled down the target to three runs before Haynes was run out for 62. Two balls later, Roberts struck the four that sealed a two-wicket win. England, down 1-0 in the five-match series, lost both openers with 29 on the board, before Mark Butcher (106) and Nasser Hussain (116) built a 189-run alliance for the third wicket. Hussain and debutant Ed Smith (64) added another 104 for the fourth wicket, and after both were dismissed, Alec Stewart (72) swelled the total to 445. South Africa responded shakily, before Neil McKenzie (90) and Shaun Pollock (62) contributed to improve the score from 132/5 to 362. James Anderson, playing in his fifth Test, took 5/102. Pollock shone with the ball too, his 6/39 condemning England to 118 the second time around. South Africa’s chase of 202 turned into a mess when they imploded to 50/5 towards the end of the fourth day. Despite a fighting 52 from Mark Boucher, the Proteas failed to find a way back and folded for 118 in the first session of the final day, with fast bowler James Kirtley, another debutant, finishing with dream figures of 6/34. After a commanding win in the first Test at Lord’s, long-time Ashes holders Australia lost a nail-biter at Edgbaston and just held on for a draw at Old Trafford, making the encounter at Trent Bridge immensely crucial for both teams. England were unchanged for the fourth Test in a row, while Australia replaced the injured Glenn McGrath and the off-colour Jason Gillespie with Michael Kasprowicz and debutant Shaun Tait. Michael Vaughan won the toss and elected to bat. Marcus Trescothick (65) and Andrew Strauss provided an ideal start with an opening partnership of 105, while Vaughan scored a fluent 58. Australia managed to take the fifth wicket at 241, but Andrew Flintoff (102) and Geraint Jones (85) put the bowlers to the sword with a galloping sixth-wicket stand of 177 that powered the total to 477. The visitors got off to a woeful start, as they crashed to 22/3 against the pace and swing of Matthew Hoggard and Simon Jones (5/44). It was only due to Brett Lee’s 47 from number nine that Australia could reach 218, but they were 60 runs short of avoiding the follow-on. England tightened the screws by imposing the follow-on, and though Justin Langer (61) and captain Ricky Ponting (48) showed the intent, Australia were still behind by 98 runs when the fourth wicket fell. Ponting was famously run out by a direct hit from substitute fielder Gary Pratt, much to the displeasure of the Australian skipper. Michael Clarke (56) and Simon Katich (59) dug in, consuming more than 48 overs to put on 100 for the fifth wicket. Shane Warne’s breezy 42 gave a late impetus to the innings, which wound up at 387 at tea on the fourth day. England needed 129 to get a step closer towards regaining the Ashes. Trescothick and Strauss motored to 32 before Warne (4/31) removed the former and Vaughan off the opening deliveries of his first two overs, and later accounted for Strauss as well. Soon after, Lee dismissed Ian Bell and England were suddenly 57/4. Kevin Pietersen and Flintoff calmly added 46 for the fifth wicket, but another twist lay in store. Both batsmen fell to Lee, while Warne nailed Geraint Jones as his fourth victim. England were now 116/7, and the tension at the ground had reached boiling point - would England eventually bottle it? To the crowd’s collective relief and joy, Ashley Giles and Hoggard held their nerve to secure a three-wicket win. Eight years later, Trent Bridge was the scene of another Ashes cliffhanger, this time the first Test of the series. For the first time in 24 years, England began a home Ashes series as the holders of the urn. Peter Siddle’s 5/50 sent England packing for 215 on the opening day, but the Australian top order nullified his efforts by slipping to 53/4. Steven Smith fought with 53, but his dismissal to Anderson (5/85) led to a nightmarish slide from 108/4 to 117/9 in the space of just five overs. Debutant left-arm spinner Ashton Agar joined Phil Hughes, and the pair stunned England with a record tenth-wicket partnership of 163. 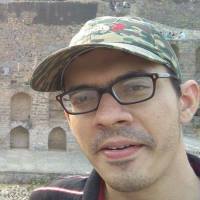 While Hughes stayed not out on 81, Agar was last out for 98, which went past Zaheer Khan’s 75 (for India against Bangladesh in 2004-05) as the highest Test score by a number eleven. Trailing by 65, England were not yet out of the woods at 218/6, when Ian Bell (109) and Stuart Broad (65) came together to put on 138 and carry the total to 375. Openers Shane Watson and Chris Rogers (52) began the chase of 311 by adding 84, but England came back to reduce the score to 174/6 at the end of the fourth day, which further became 231/9 on the final day. However, the last-wicket stand blossomed again, this time through Brad Haddin (71) and James Pattinson. They kept Australia alive by adding 65, before Anderson (5/73) had Haddin caught behind to complete his second fifer of the match and a 14-run win for England.